One of my best friends just had her baby on April 7th. She went with a woodland themed nursery, using soft blues, pinks, tans, & grays. She loved the look of my triangle quilt so I made her a special girly woolen version. It turned out SO cute! I am in love! The colors are so perfect I kind of want one for me now! Oh, this is so pretty! 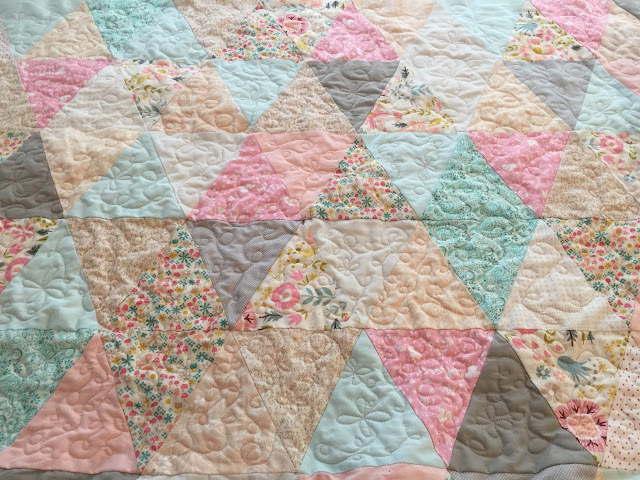 The colors mingle perfectly together the quilting makes it so squishy and welcoming. It will be treasured always!